Jim had been with Airdrieonians,Valur (Iceland), KSC Lokeren (Belgium), Rangers, Aberdeen, KR Reykjavik (Iceland) and Hearts. He signed for United early in season 1995-96 on a free transfer. 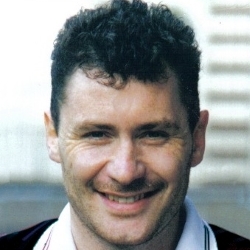 A Scotland international, Jim went on to make a significant contribution during the campaign in the First Division, helping United to regain Premier League status. He retired from football in May 1996. United were dumped out of the Coca-Cola Cup despite taking an early lead against their Premier Division opponents. There were surprises in the United formation. Jim Bett signed just before the match made his debut in tangerine and Brian Welsh was drafted in up front. Indeed the pair almost drew early blood when Jim Bett pushed the ball out wide to Andy McLaren and Howie did well to gather Brian Welsh's awkward downward header. But United did take the lead shortly afterwards when Sandy Robertson crashed in a dipping 25 yarder which came back off the bar and Robbie Winters ran in to head over Howie who was left stranded. Deep into injury time Billy McKinlay was flattened in the box and got up to slot home our first penalty award of the season which earned us our fourth consecutive victory. It was no more than we deserved, but given the chances that were missed earlier we shouldn't really have had to rely on such a last gasp decision for three precious points. 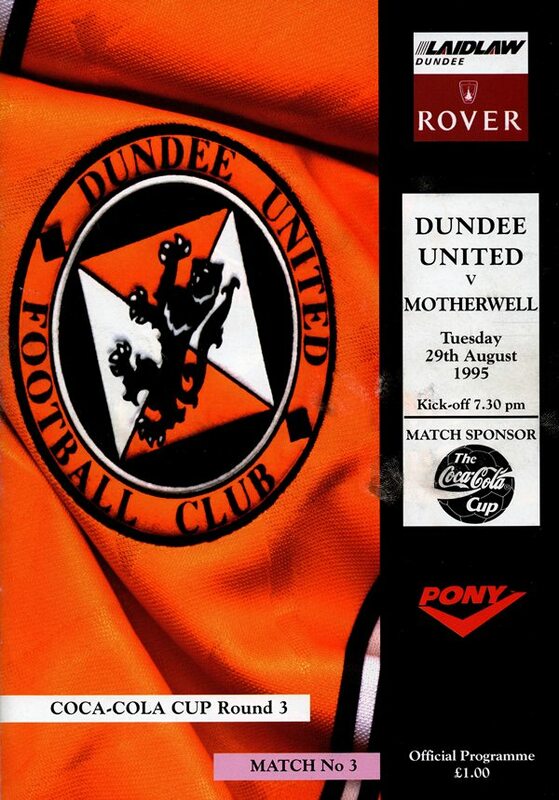 The home debut of Gary McSwegan and Owen Coyle's first appearance after his transfer the day before attracted the highest crowd of the season to Tannadice, but this was a match in which events off the field were to cast a shadow over proceedings. Early on Saints had the better of the exchanges and the United goal survived a major let off in the seventh minute. A cut-back from Twaddle was touched on by John O'Neil, but Ally Maxwell blocked his effort. The ball ran loose to George O'Boyle whose flick was goal-bound until Steven Pressley popped up to clear the ball just as it was on the point of crossing the line.